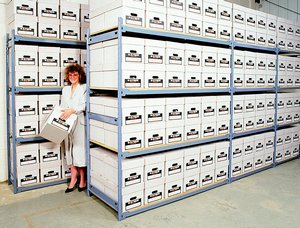 Maximize your file storage needs with our file storage shelving systems. Our shelving systems are made of a strong steel frame with either particle board shelves, galvanized drop-in panels or wire decking. 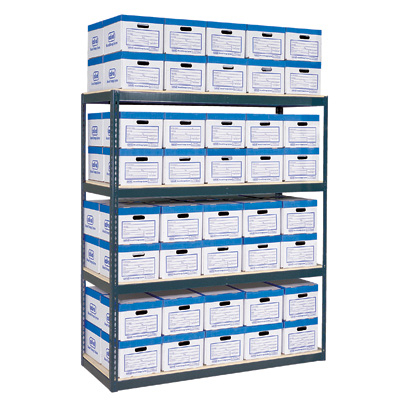 We carry E-Z-Rect shelving in 2 levels. 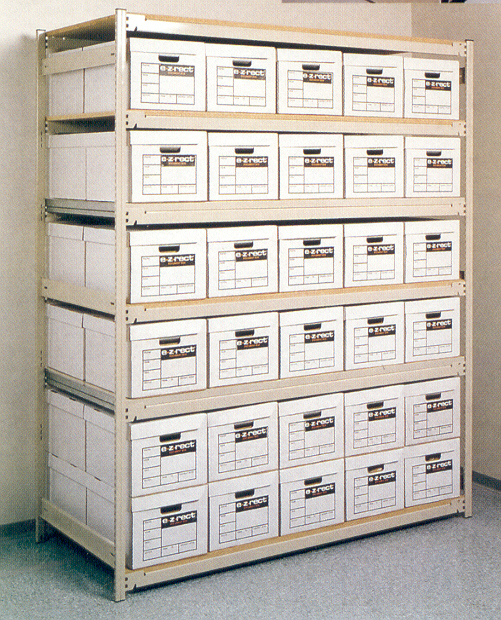 There is Trimline shelving which is the most economical, or type-1 for heavy-duty applications. Up to 1800 lbs / shelf level make this ideal for office, industrial, build workbenches or shipping/packing stations at an affordable price. We can design a system based on your needs, space and budget. © Copyright 2019 KW Materials Handling. All Rights Reserved. Web Design and Content Management by REM Web Solutions.